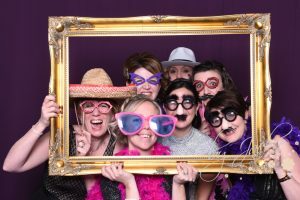 We held the 1st Emily’s Ball’ at York Racecourse on 30th January 2016, on what would have been Emily’s first birthday. 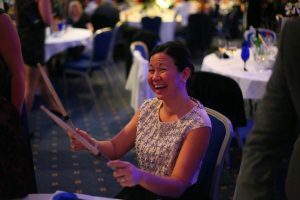 We raised over £12,000 for Martin House on the night and the night was a great success. The live auction was the centre piece of the night and raised a large proportion of the total raised. 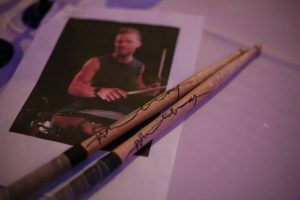 Example lots included Grand National Tickets, Leeds Rhinos Hospitality Package, Weekend in London and Harry Judd signed drumsticks! 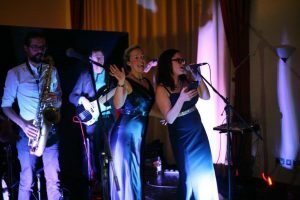 The Jonny Ross Band provided a brilliant set and had the entire guest list dancing into the wee hours. 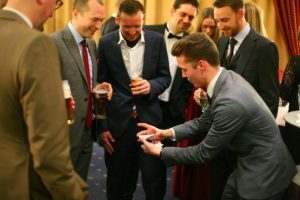 Guests were also entertained by the brilliant magician Alfie Whattam; the Star of the TV Show ‘The Illusionist’, a ‘Britain’s Got Talent’ YT Finalist & the Best Selling Author of the Book ‘Learn 7 Easy Magic Tricks’. We kindly thank Persimmon Plc and Quantum Estate Agents for their sponsorship. 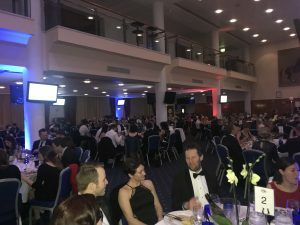 We held ‘Emily’s Ball 2018’ at York Racecourse on 27th January 2018. 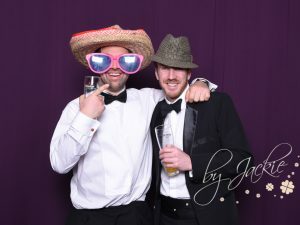 We raised just over £14,500 for Martin House on the night and the night was a great success. 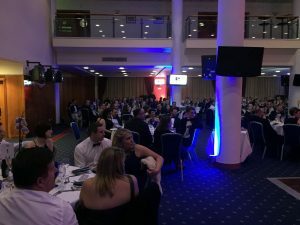 The live auction was the centre piece of the night and raised a significant proportion of the total raised. Example lots included Steiff Collectable Teddy Bears, Six Nations tickets, a week on the North Norfolk Coast, a Yorkshire Cricket Hospitality Package and Jet2 flights! The Jonny Ross Band once again provided a brilliant set and had the entire guest list dancing into the wee hours. Guests also enjoyed having their photos taken by local photographer Jackie. We kindly thank Wishart Estate Agents for their sponsorship.